While the material isn’t necessarily anything new or earth-shattering – we all know from the news the struggles out troops have faced overseas – I thought the movie presented a slightly more interesting view of what when on there. There are any number of films about War- the blood and guts and bombs and bullets. They make soldiers into heroes and typically glorify the horror and bloodshed in an attempt to get the audience to "root" for the good guys. Sand Castle is not that type of film. It shows a much more human side of life of a soldier in the post 9-11 Iraqi war. Produced by Treehouse Pictures, the movie premiers on April 21, 2017 on Netflix. Matt Ocre (Nicholas Hoult; X-MEN: Apocalypse) is a reluctant soldier going so far as to break his own hand to avoid combat duty. He signed up for the military reserves as a way to pay for college but, a few months later, 9-11 happened and the world turned upside down. Suddenly, he found himself in Iraq fighting a war he had never intended to be a part of. Then, just as his unit was settling into a palace in Baghdad, they were called upon to help with civilians, as the military tried to rebuild a water pumping station they blew up in a town called Baqubah. Once they arrived in Baqubah, Ocre and his unit find the Iraqi people are eager to receive fresh water but reluctant to help rebuild the pumping station. The team gets shot at and ambushed and incurs obstacles all along the way. When Ocre manages to enlist the help of a Headmaster to gather workers to help rebuild the station, he wakes up one morning to the charred remains of the headmaster hanging upside down in the schoolyard, thus validating that there are factions working against the military. As the project continues, things seem to progress until a suicide bomber destroys everything and kills almost everyone involved. As one of the only survivors, Ocre is sent home; yet, the once reluctant soldier is now reluctant to leave. Hoult gives the audience a good sense of his feelings throughout the film and his emotions are clearly spread across his face, especially once he is ordered to return home to the United States. The sentiment is one of unfinished business, along with survivor's guilt, and, for the first time, gave me a better understanding of what Post Traumatic Stress Disorder (PTSD) encompasses. The rest of the cast blend well, which gives the unit a feeling of cohesiveness and an almost unrecognizable Henry Cavill (Man of Steel) gives a good performance as the Special Ops team leader. While the material isn't necessarily anything new or earth-shattering – we all know from the news the struggles out troops have faced overseas – I thought the movie presented a slightly more interesting view of what when on there. The pacing is slow and tedious at times, with intermittent moments of action and plot development thrown in, but I could sense the Unit's frustration and annoyance and I, too, began to feel aggravated by the whole situation. I think first-time screenwriter Chris Roessner did a nice job with his script, which was based on his real-life experiences in the military. His wording was simplistic enough for the layperson, unfamiliar with military jargon and rhetoric, to comprehend and, again, I think he gave the audience a better idea of the mindset of our troops who suffer from PTSD. I think for those who served in the Middle East, this film will resonate and hit home with them. However, for most of us who have seen these scenarios on the news night after night, I don't think the film adds anything new to the equations. 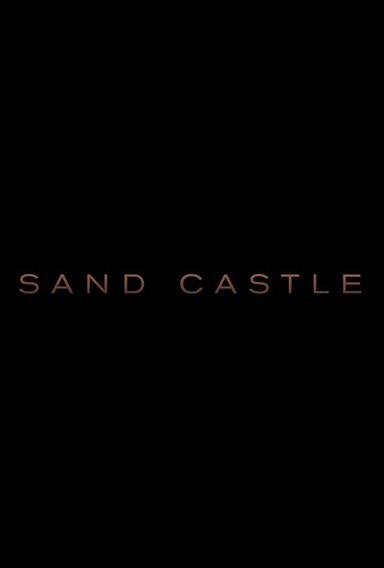 For more information about Sand Castle visit the FlickDirect Movie Database.